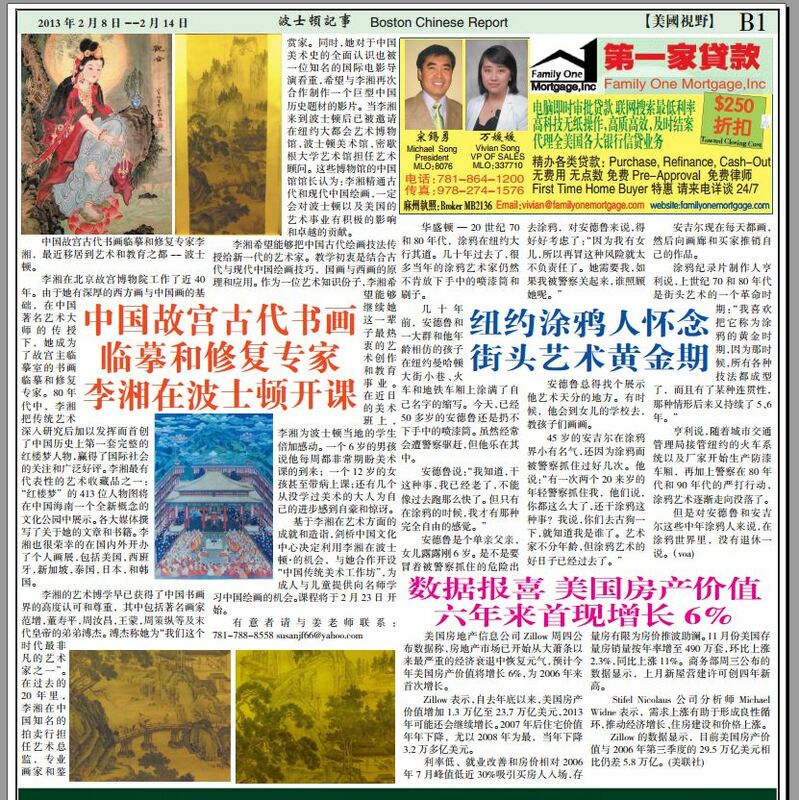 Feb 2013: 中国故宫古代书画临摹和修复专家李湘 | “Xiang Li, an Expert from the National Palace Museum Specializing in the Ancient Chinese Art Reproduction and Restoration”. Read the article translation here. Nov 2012: 国画书法展今起布鲁克兰图书馆举行 “Sing Tao Daily: Chinese Art and Calligraphy Exhibition at the Brookline Public Library (Brookline, MA)”. Xiang Li was among the 23 artists who showcased their works this year. 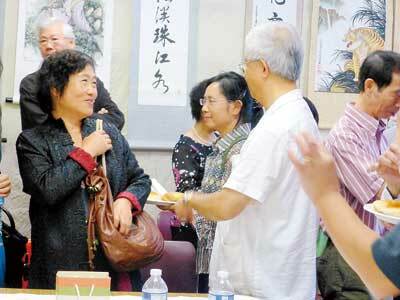 Below: Xiang Li (left), accepting Klyster Yen’s (right) invitation to join the New England Chinese Art Association. 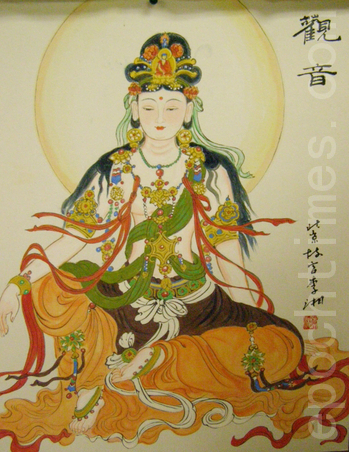 Xiang Li’s “Guanyin” was selected for the exhibition and attracted everyone’s attention at the show.